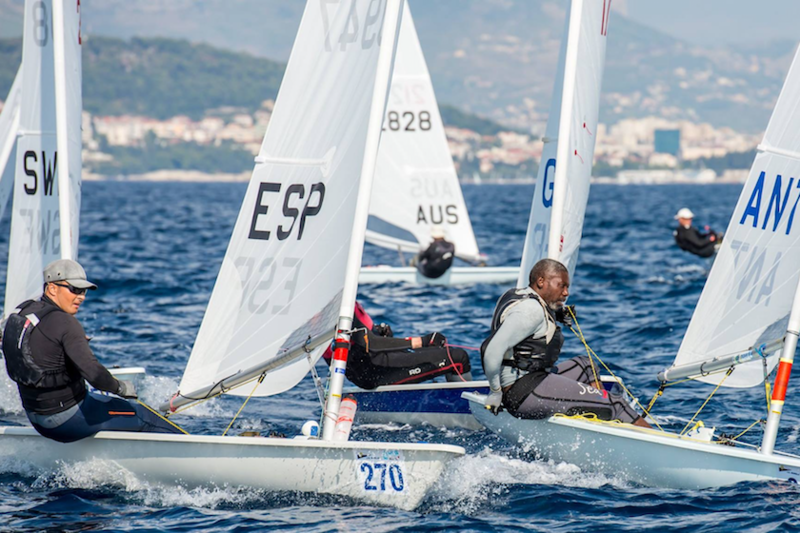 (Split, Croatia) – A fresh overnight Bora wind off the land greeted Laser Master sailors and race committee as they arrived at Mornar Sailing Club in Split, Croatia on the fifth day of racing. The northerly Bora wind created a dilemma for the Race Committee as it was expected to die and be replaced by a south westerly just after the scheduled 12:00 start time for the Standard rig fleet and 13:00 start time for the Radial Rig Fleet. The fleets were held ashore until 11.30 when the Bora started to die. By the time the Radial fleet were released 40 minutes later the wind was already turning south. With enough wind for both fleets to get to their starting area hopes were high for a good afternoon breeze. Unfortunately no one mentioned the plan to the wind which proceeded to die. When it finally came back it took another hour to slowly turn the south west and build to 4 knots. At 15:30 the Race committee were just about ready to abandon racing for the day wind the jumped to 6/7 knots and all fleets were able to complete one race before the Bora returned. In the Standard fleet Apprentice division Maciej Grabowski POL grabbed another first place to continue his perfect score which kept him ahead of Adonis Bougiouris GRE and Maxim Semerkhanov RUS. Peter Hurley USA closed the gap to Brett Bayer AUS to just one point with his second win of the series as Beyer could only finish fourth in the Masters Division. Sweden’s Tomas Nordqvist split the two leading Canadians by scoring a first. Allan Clark held on to his overall lead in spite of scoring a 10th which becomes his drop race. Nordqvist’s result promoted him to 2nd overall whilst Andy Roy scored another 5th that dropped into third overall. 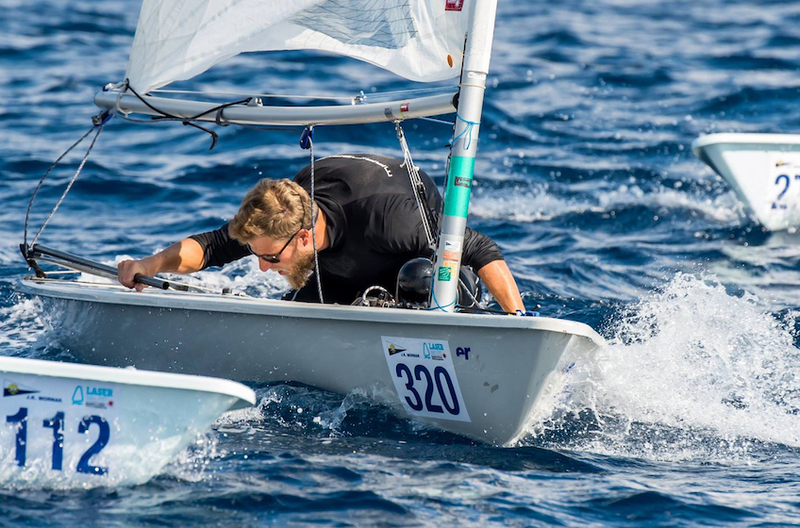 Michael Nissen from Germany scored his second win of the week in the Great Grand Masters division to take the overall lead from Mark Bethwaite AUS who finished his race in third behind Alan Keen RSA. 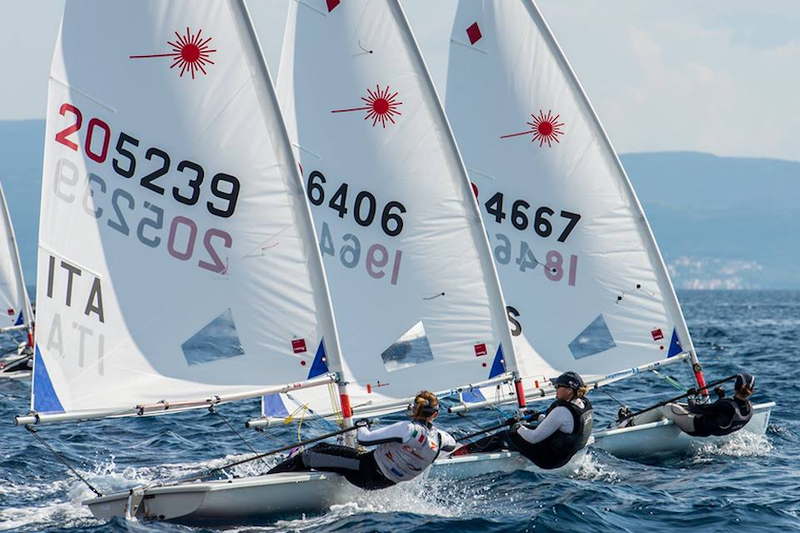 The Radial Fleet continues to promote Women’s sailing with a record 31 women taking part across the 4 Radial divisions. 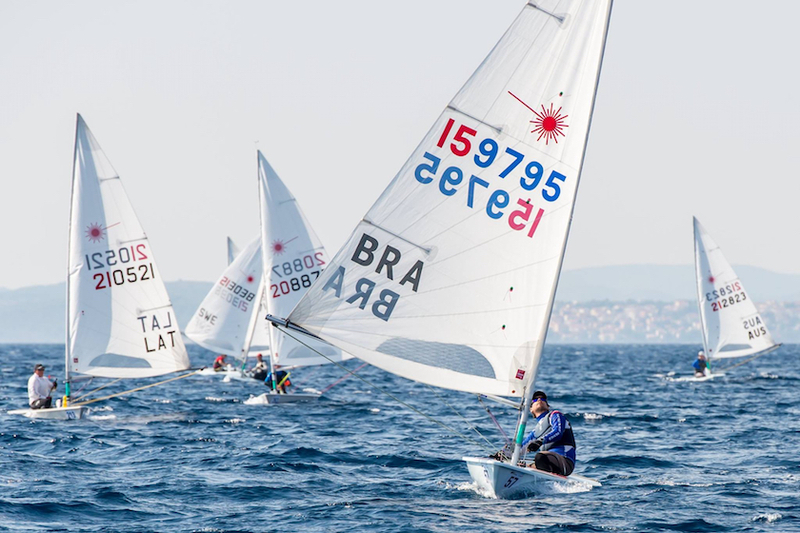 In the apprentice Radial division women out-number the men and second place Anastasia Chernova RUS is chasing series leader Jon Emmett GBR who scored another first to continue his run of bullets after a drop race. 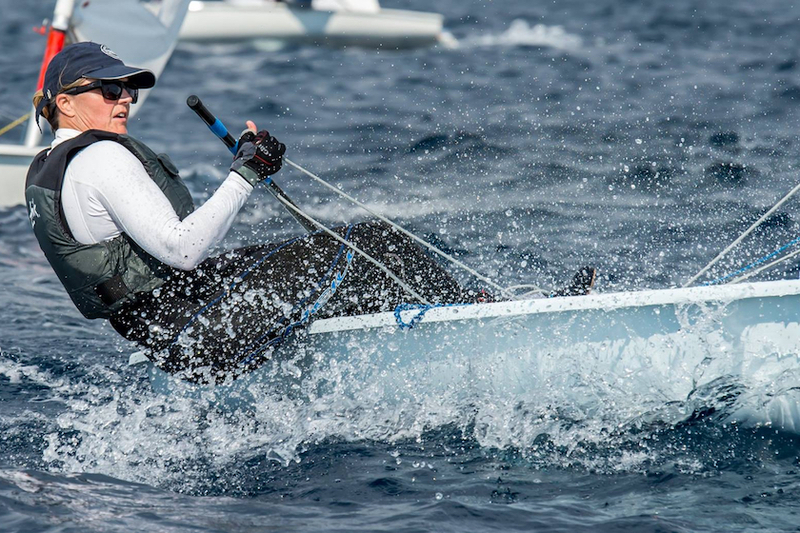 It was no change at the Masters division where eleven women are sailing. Alessio Marinelli ITA score another first place while Scott Leith NZL keeps hold of second place in spite of finishing 8th, his worst position of the series. The Grand Masters fleet containing 10 women was unlucky as the wind died after only a few boats crossed the finish line. This did not affect he top 6 on the overall leader board as all of the top six finished in single figure positions. The drama was in the Great Grand Masters that also includes 17 x 75 + years ‘Legends’ and three women. Bill Symes USA scored his third 1st place in the series and jumped 3 places ahead of overnight leader, Rob Lowndes AUS who finished 6th. In third place overall, Legend Kerry Waraker AUS, with another 2nd, carried on from where he left off yesterday which gives him a 19 point advantage who fished 14 which he currently can discard. Stronger winds are forecast for tomorrow.